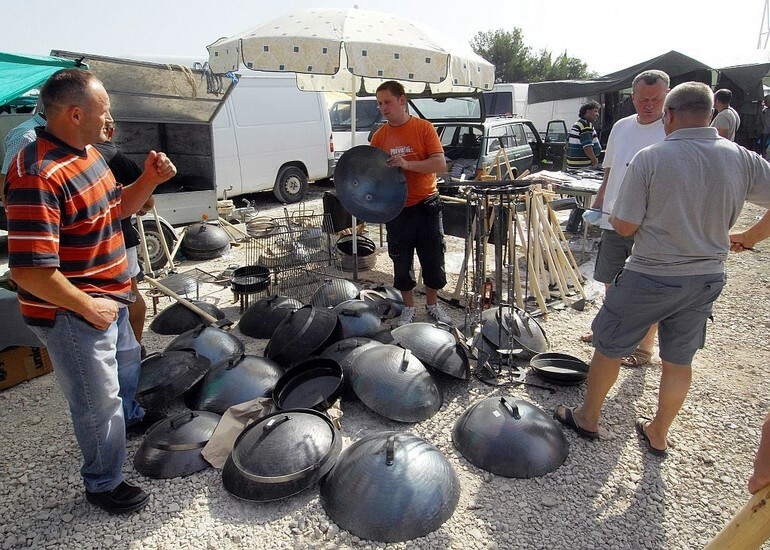 Not so long ago, just thirty years or so, fairs were an everyday occurrence in every small, mid-sized or larger village or town in Dalmatia. 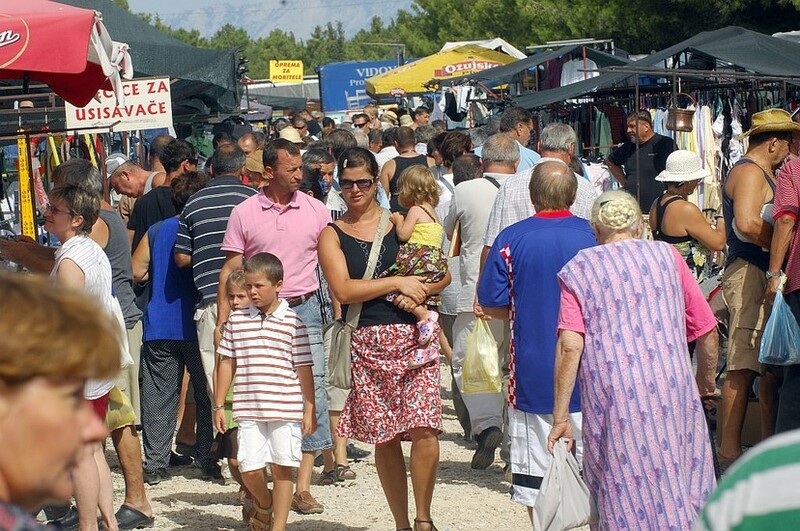 Although that tradition has largely been lost today, there are still a few fairs left in Croatia, one of which deserves a special mention due to the variety of its offering and the colourful people who visit – the Benkovac fair. 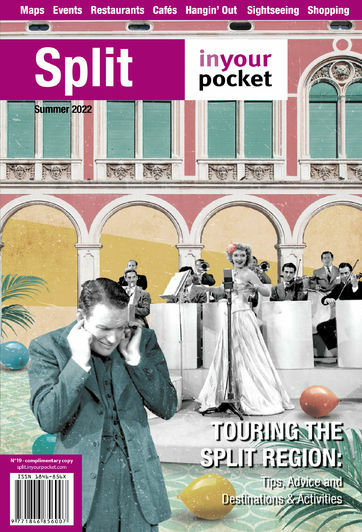 The story of this peculiar fair starts one hundred years ago when the town centre of Benkovac, on the 10th day of every month (during the summer), would become the venue of a large livestock fair. It was a place filled with song, laughter and cheer, where guys and girls would dance traditional dances and flirt with one another, and where thus many a love affair was born. Soon, Benkovac became the centre of Dalmatia for that one day of the month when tens of thousands of farmers, traders and craftspeople would come here to try to sell everything “from a needle to an anchor”. 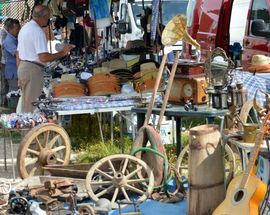 Nowadays, the fair is held outside the centre on six hectares of land including rocky fields and pine forests in a village named Benkovačko selo, an area where people have always made a living from agriculture, livestock and traditional crafts. Instead of going to soulless shopping centres, people come from all over to buy and sell in a rather more traditional way. 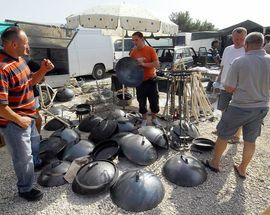 Hundreds of traders in livestock and domestic animals, agricultural tools and household wares, as well as owners of local restaurants in improvised tents and a river of visitors and idlers from all corners of Croatia flow through the fair. 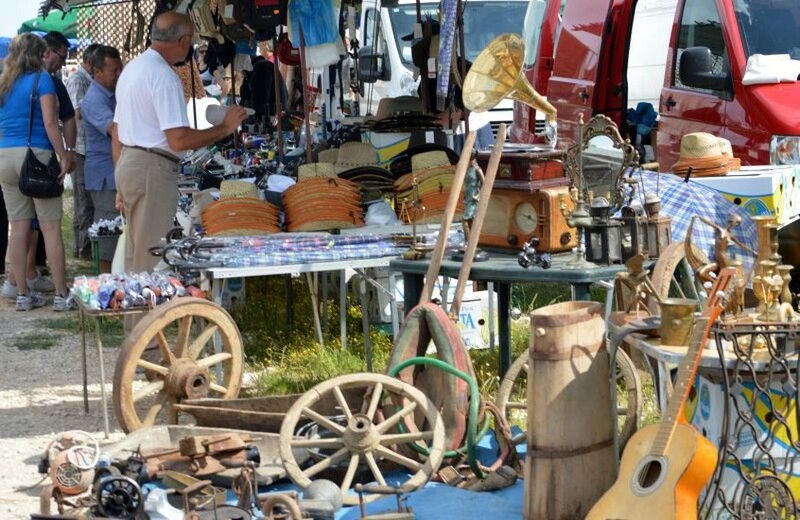 What can you find at the Benkovac Fair? The fair's most popular products each month depend on the season. People from the fertile central Croatian regions of Prigorje, Podravina and Međimurje bring flour from their mills; those from the market towns of Varaždin and Bjelovar bring calves, and from the plains of Slavonia mainly pigs and piglets… The hospitable locals take care of the rich gastronomic offering: lamb roast on a spit, suckling pig, food roasted under the lid, and a variety of wines from the local vineyards. The wonderful thing about the Benkovac Fair is not just its century-old tradition but the fact that this fair is a part of an almost lost way of life in agricultural regions and is an authentic manifestation of commercial, cultural and ethnological heritage. About twenty years ago in a small, tumbledown village with few prospects, a number of locals decided to take a radical step and turn their secluded village into an attractive tourist destination that would be renowned far and wide. They wanted to preserve the memory of their predecessors by maintaining their peaceful and quiet lives, as well as their iconic village festivals! 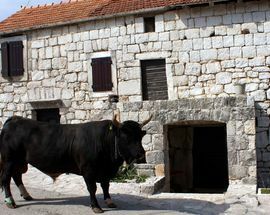 The eco-ethno village Škopljanci in the Kaštela hinterland is a family-owned property with about twenty old stone houses forming its centre. Twelve of the houses have been completely renovated down to the finest detail in order to preserve their original shape, respecting the traditions and the architecture of the region. 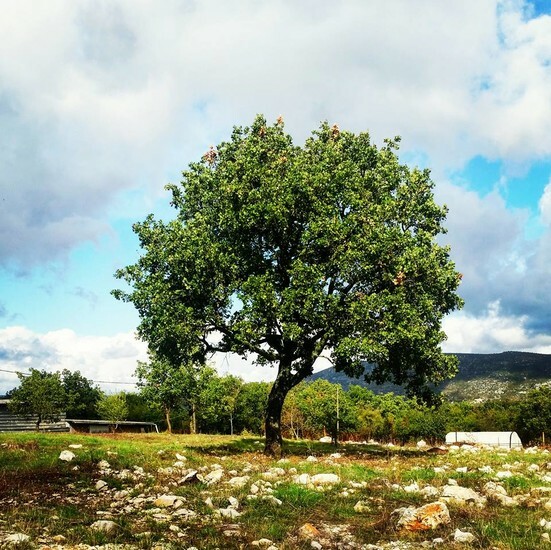 The village today is a registered monument of cultural heritage of the Republic of Croatia and is monitored closely by the conservation department in Trogir. The village’s rich ethnographic collection is exhibited in the Ethnographic museum which includes more than 800 historical objects of various purposes, traditional folk costumes and other preserved items, managed by the “Fireplace” folklore association and the Škopljanac family. The village has another, a more unique museum dedicated to one important member of their community – the Museum of Bulls. 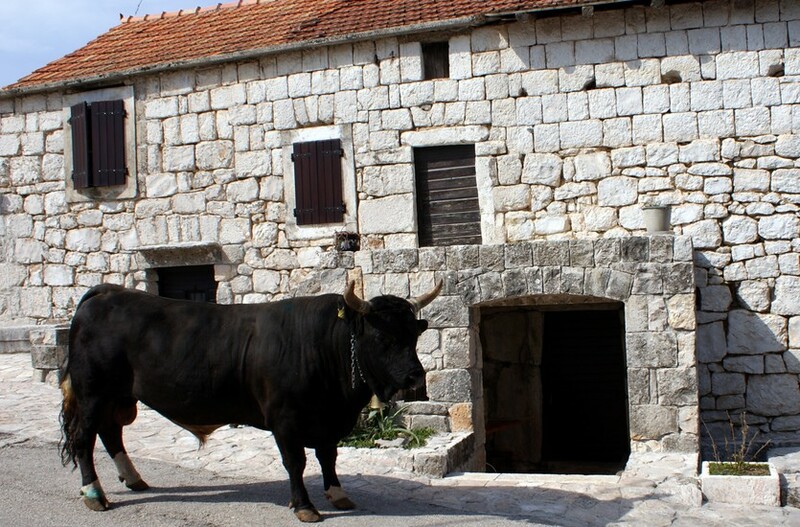 Bulls are a part of the tradition of Dalmatian uplands, of the village of Radošić and of the Škopljanac family. In times past, bulls were used to plough the fields and people's livelihoods depended on them. A household with a bull was considered a wealthy one. 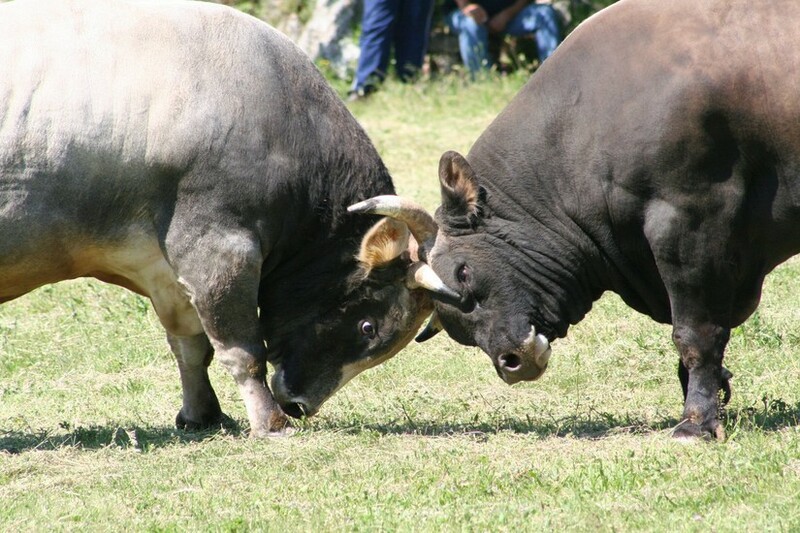 As their number decreased over years, the Škopljanac family has helped reintroduce them to the countryside by organizing their now famous bullfights. The museum features more than 100 specimens, bearing witness to 20 years of bullfighting in Radošić. 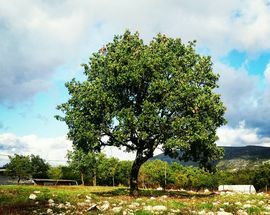 In the shade of a hundred-year-old oak forest, a protected monument of nature in the Republic of Croatia, there is a fenced arena in which the Village Olympics and the bullfights are held. The Village Olympics is a special experience which encompasses a host of sporting competitions and numerous old village games which have been forgotten due to the ever-increasing pace of life. Many people take part in these games in order to test their strength and their skills in various disciplines such as stone-throwing, arm wrestling (for women and men), fighting on a shaft, pulling pistons, donkey racing, throwing a boule into a drum from horseback, standing long jump and tug-o-war (for women and men). The bullfights are held in a large fenced arena on the last Sunday in the month of May. 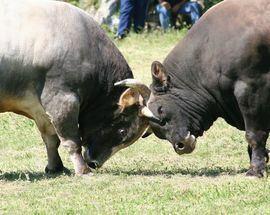 The first bullfight was organized in 1993 and a year later it was officially regulated to protect these noble animals whose nature is to fight and prove their strength. Those few locals twenty years ago probably couldn’t have imagined that their radical idea would one day attract 10-15 thousand visitors into their small village every year! Donkeys are common domestic animals the world over. 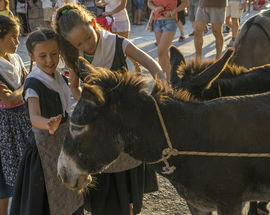 In popular culture, donkeys have gained the reputation for stubbornness and not being exactly the brightest sparks, so in many languages including Croatian, the word for donkey (magarac) took on a pejorative meaning. However, because donkeys are long-lived (they can reach over 40 years old), are sure-footed on rocky terrain such as that found in Dalmatia and don't need shoeing, for centuries they have been used in this region to help with the heavy work. At one time, there would have been more than 40,000 donkeys in Dalmatia whereas now there are just over 1000 of them. Although they are not as fast as horses, donkeys can, if they must, run as fast as 50 km/h. The revival of donkey racing is just one of the ways of reintroducing donkeys to the Dalmatian landscape. 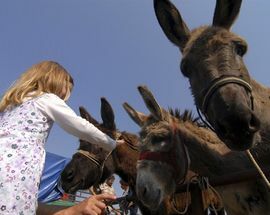 During summer, a number of donkey races take place along the coast, but special mention has to go to the oldest racing event in the town of Tribunj. 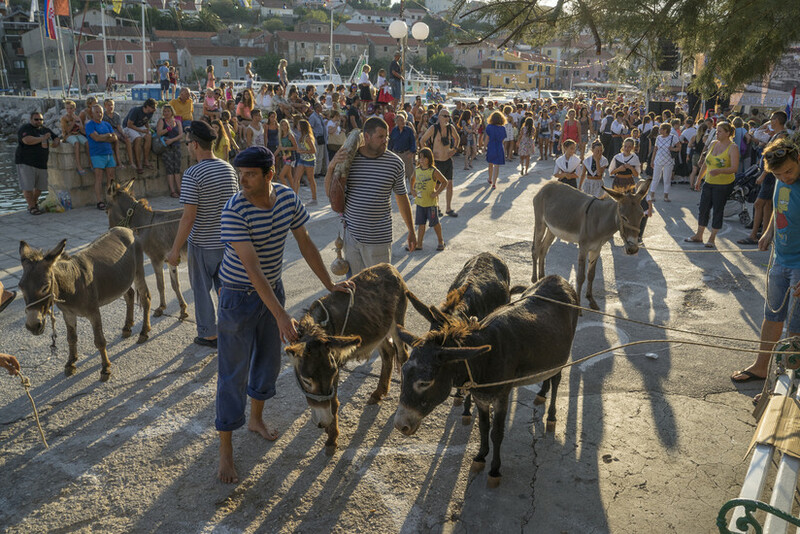 The donkey race in Tribunj has been held for 50 years now, every 1 August to honour this hard-working animal which has helped local people throughout the town's history. It all started when local students came up with the idea in 1952, organising a donkey race during their summer break. Since 1957, the race has been held every year with only a few exceptions. 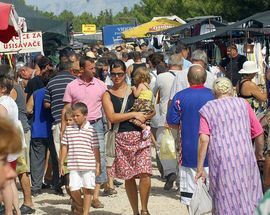 Only born-and-bred Tribunj locals may take part, usually 12 of themper race. 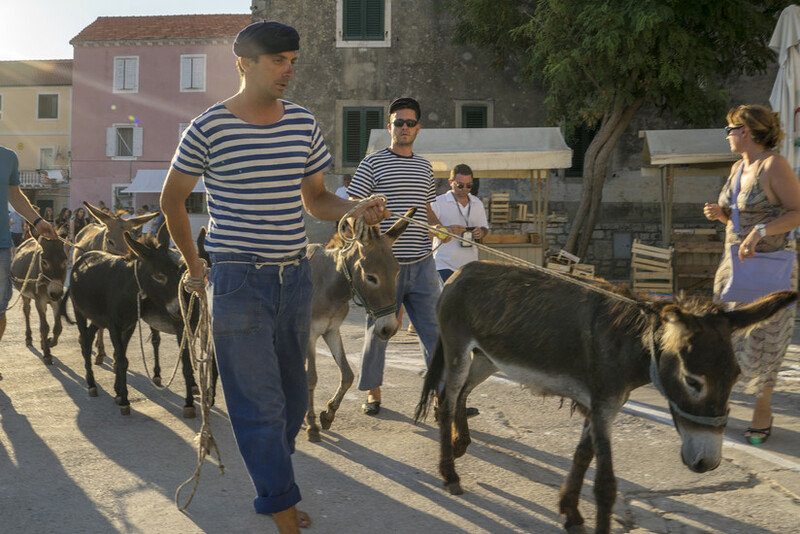 The donkey riders wear Tribunj folk dress as people used to wear every day for working in the field. The race course goes through the town centre which lies on a little islet. Just like in the famous Croatian knights’ tournament the Alka in Sinj where the leader is called the “alaj-čauš”, the donkey race has an “alaj-ćuša” who makes sure that everything takes place in accordance with the donkey race's statute and who starts the race with a shot from his pistol. The winner is the first one to cross the finishing line, which, bearing in mind the well-known stubbornness of the donkey, is not the easiest thing in the world! Apart from a cash prize, the winner takes home a statue of a donkey which is passed on to the new winner each year. After the end of the donkey race, the whole town parties until dawn. Just across the Tribunj waterfront lies the islet of Logorun with the first donkey reserve in the world. It is possible to visit the island, where you will find that the island’s only inhabitants are quite tame and friendly. 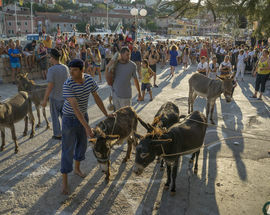 As opposed to the Tribunj race which is reserved only for local competitors, the donkey race in a nearby Tisno is an international event open to representatives from different countries. Exactly for this reason, the race at Tisno has become a tourist phenomenon, especially since the organisers, the “Tišnjanski Tovar” society, decided to include tourists and emigrants from Tisno into the race in order to popularise the event around the world. 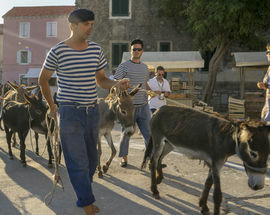 Another popular donkey race takes place on the island of Dugi otok, located west of Zadar. The “Saljske užance” festival has been held for over 50 years on the weekend before the Feast of the Assumption in August. 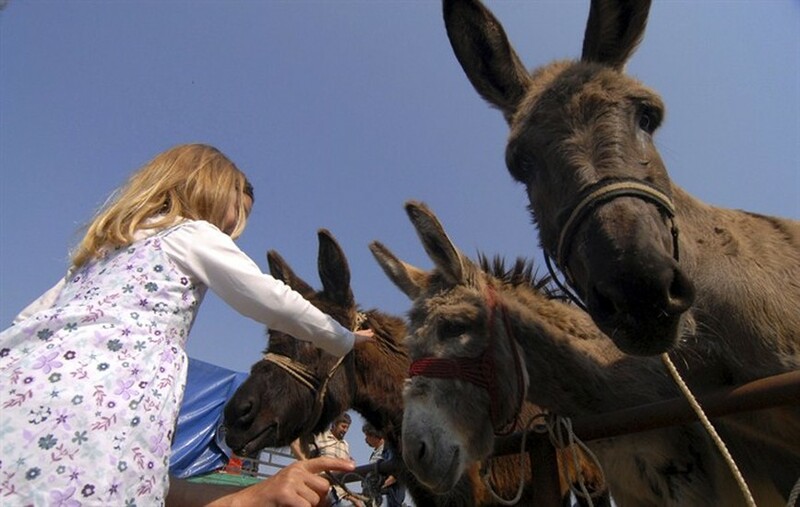 This three day event culminates with a traditional donkey race on the Riva, the town's waterfront. Once the race is over, prizes (e.g. pršut) are awarded for the fastest donkey and the laziest donkey, i.e. the last one to cross the finish line. The laziest donkey and its owner receive a diploma for their efforts. 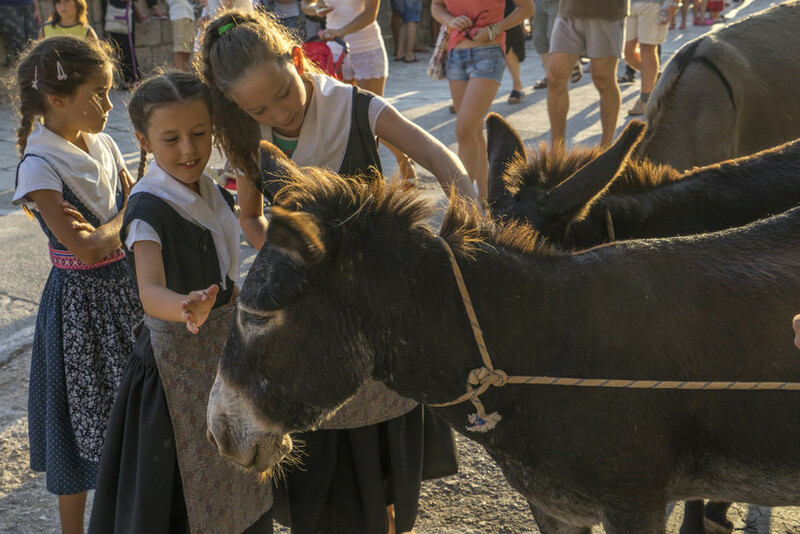 Apart from the donkey race, tourists may take part in the preparation of local specialities, listen to the so-called “donkey music”, compete in a variety of traditional sports and competitions and enjoy the programme of entertainment on Riva.